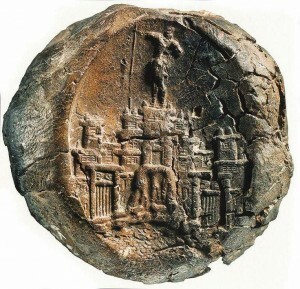 In the last fifty years evidence has emerged for the presence of a major Minoan palace and town beneath the modern city of Chania. It has come to be known as Kydonia although its original name is not known. 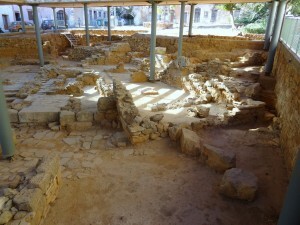 It has not been easy to excavate in Chania. 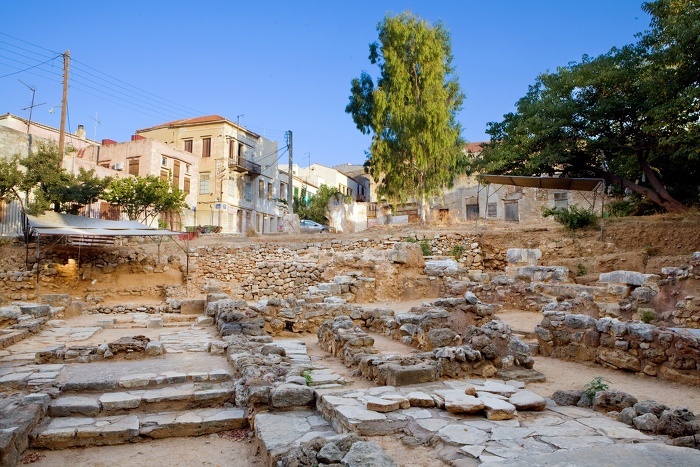 Not only is the Minoan town buried beneath the modern city of Chania but above it there are various layers dating to the Roman, Byzantine, Venetian and Ottoman periods. 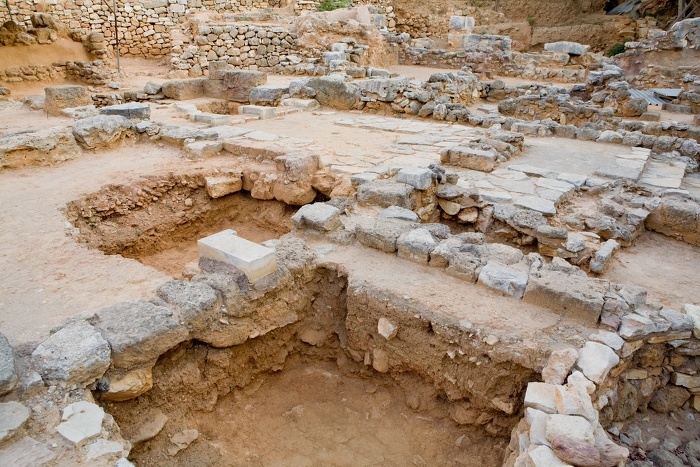 Worse still, wells, pits and the foundations of other buildings dug during later times have disturbed the layers of Minoan and Mycenaean Kydonia. 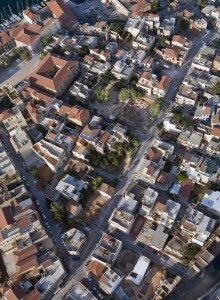 However a number of small sites have been excavated, the most important of which are on the low hill called Kastelli behind the former Turkish mosque which is situated on the harbour front. This hill was occupied from the beginning of the Early Minoan period right through to the end of Late Minoan IIIC and beyond. Excavators have found good quality architecture from the prepalatial period, especially from EM II and the EM III-MM IA periods. 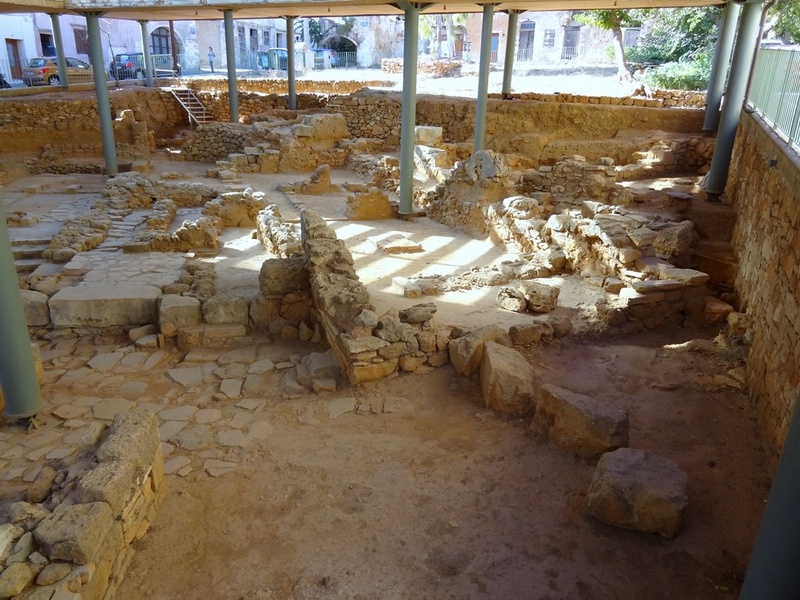 Protopalatial levels were largely destroyed when the neopalatial town was constructed but the excavators know that there was a Middle Minoan settlement in Kydonia from the finds of Kamares pottery, eggshell ware and stones with mason’s marks. 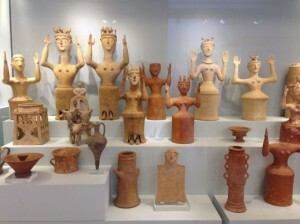 It was known that Kydonia continued to thrive as a town long after the destruction of Knossos and the arrival of Mycenaeans in Crete, so the presence of extensive LM III layers in Chania would not have come as a surprise. Continuing down below the LM III levels, the excavations in the square revealed part of a neopalatial Minoan town. As was customary in the Minoan period, the houses were built in blocks and divided by narrow streets and squares. In Ayia Aikaterini Square four or possibly five houses from the neopalatial period have been uncovered. Firstly, a large archive of Linear A tablets, roundels, and nodules was discovered. 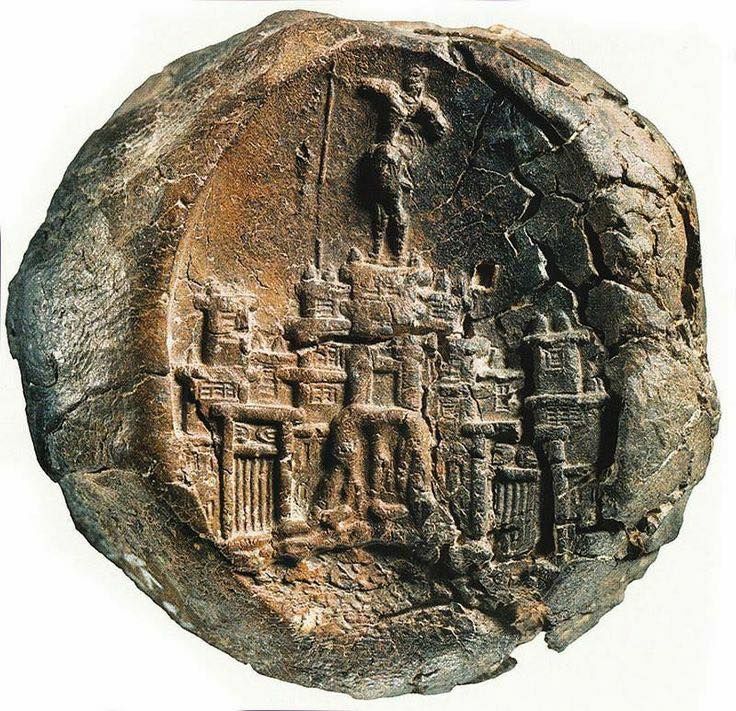 It consisted of 97 pieces of clay tablets, 122 roundels, and 28 nodules, inscribed with Linear A syllabograms and ideograms. These listed agricultural products and censuses of people and animals. They were clear evidence for an advanced administrative system connected with the centralized economy of a powerful society. Chania has the second largest number of Linear A tablets of any Minoan centre and the largest number of roundels. Secondly, many features prominent in the architecture of the other palaces have been noted at Chania. These include Minoan Halls with pier-and-door partitions, light wells, lustral basins, ashlar masonry façades, fresco paintings, columns, pillars, storage rooms, and drainage systems. Thirdly, a number of ceremonial and cult areas have been located.